Rick must make a choice that will decide the groups fate. Gone are the days of Miami Vice killings and Dallas like twists. This is brutal unrelenting with a revelation of not just killing one, but two main characters. Where’s as the penultimate episode of seasons 2 Fear the Walking Dead raised the bar in graphic violence, The Walking Dead’s season 7 opening episode knocks it out of the park. “The Day Will Come When You Won’t Be” contains excellent makeup special effects and pure tension and exists mainly to show who died and where Rick now fits in the world of the dead. TV doesn’t come much more dangerous or horrifically sadistic as this. Director Greg Nicotero’s atmosphere is thick with blood and mist. 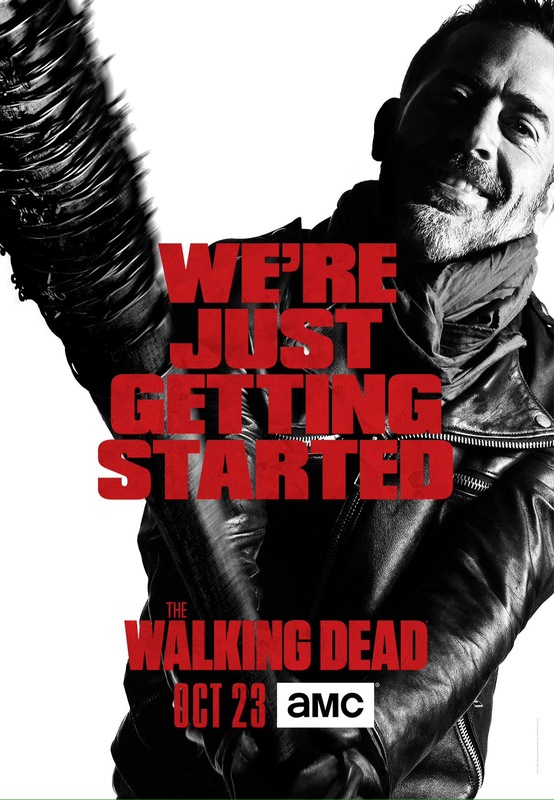 From zombie killings to head bashing and eye popping action it’s genuinely gut turning relentless from beginning to end with Rick having to make a series of decisions to save his son and friends. Both Jeffery Dean Morgan as Negan and Andrew Lincoln as Rick are outstanding here. Morgan offers some much needed viewer nervous levity, notably the vampire line about his baseball bat named Lucille, while Lincoln is fittingly shell-shocked throughout echoing the viewers disturbed surprise. With some solid direction, writing from Scott M. Gimple and a fitting score it raises the bar in terms of harrowing nauseatingly TV violence and it emotionally surpasses expectations. Recommend piece of zombie entertainment.